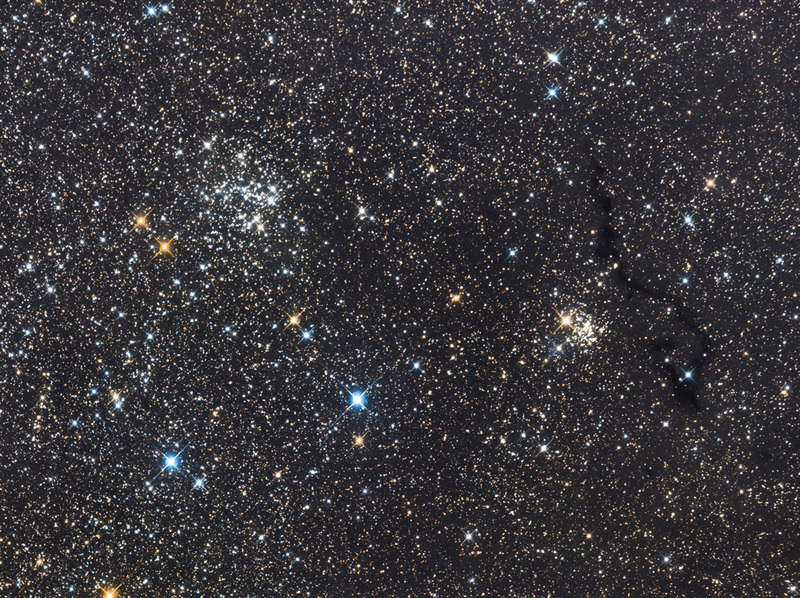 This image shows a starfield in the constellation Cassiopeia containing two open star cluster: NGC 663 (left) and NGC 654 (right). In the lower left of NGC 654 is the tiny reflection nebula vdB 6, and right from the cluster are two dark nebulae, catalogued by Beverly Lind as LDN 1343 and LDN 1344. Both nebulae are part of much larger molecular cloud in Cassiopeia.